Free Shipping Included! 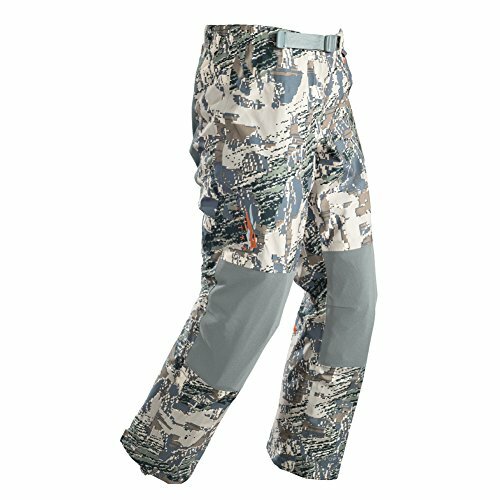 Sitka Youth Cyclone Pant, Optifade Open Country, Youth Medium by Sitka Gear at Blood of The Young. MPN: 50117-OB-YM. Hurry! Limited time offer. Offer valid only while supplies last. With its durable 3-layer GORE-TEX® construction, Sitka Gear`s Youth Cyclone Pant keeps young hunters comfortable and dry, no matter the weather. With its durable 3-layer GORE-TEX® construction, Sitka Gear`s Youth Cyclone Pant keeps young hunters comfortable and dry, no matter the weather. The belted elastic waist stretches to accommodate unexpected growth spurts, while the reinforced knees and seat ensure hand-me-down ability. Sitka waterproof breathable outer layers are originally treated with a Durable Water Repellant finish (DWR), which keeps the outer fabric from becoming saturated so that the breathable barrier can do its job. This coating needs to be replenished once per season, or more often if the piece gets a lot of use or washing. If water is no longer beading up on your shell, it`s time to retreat it. Make sure to use a spray on our softshell pieces, and a wash-in for 2.5 layer garments, like the Downpour series. Additionally, don`t hesitate to treat your Mountain Pants with a DWR spray and watch the water bead off. If you have any questions about this product by Sitka Gear, contact us by completing and submitting the form below. If you are looking for a specif part number, please include it with your message.